The eclectic, pan-Asian menu runs the gamut from sushi and sashimi to Korean street tacos, Thai beef salad, bánh mì sandwiches, American burgers and even all-beef Kobe hot dogs. 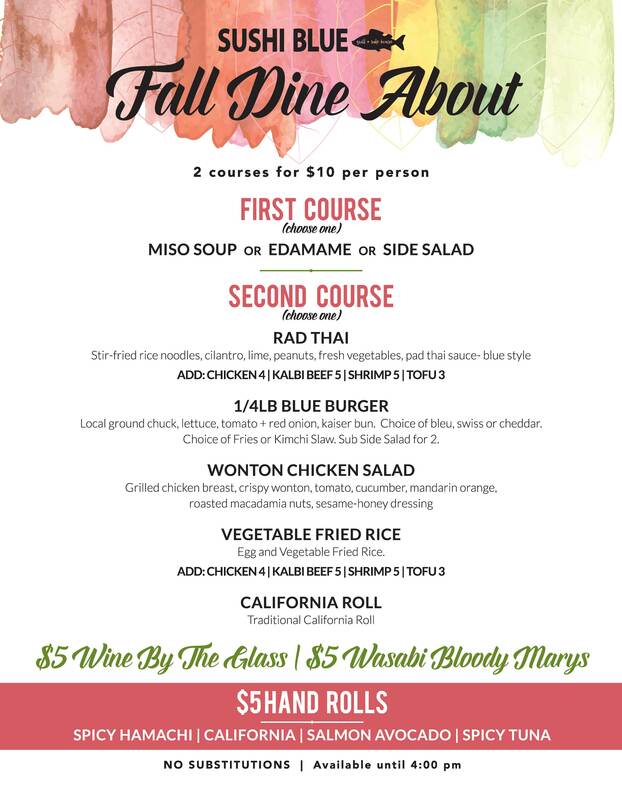 One of the favorite choices from the small-plate menu is the crab-cake slider duo: two very tasty petite crab cakes on cute little toasted buns with sliced avocado, balsamic caramelized red onion, poblano chile peppers and a yummy ponzu-citrus mayonnaise. Sushi lover's be sure to ask about the off-menu specials. In addition to standard maki rolls like the spider roll, Philly roll and caterpillar roll, there are cleverly named Blue rolls, all playing on celebrity names. For example, there’s the Kimchi Kardashian, Tuna Turner, Salmon L. Jackson and Mike Thai Son. Reservations may be made for parties larger than 5 guests by calling the restaurant at 435-575-4272. For private dining inquiries, catering, or reservations exceeding 18 guests, please contact our Sales & Events department at 435-647-2908. 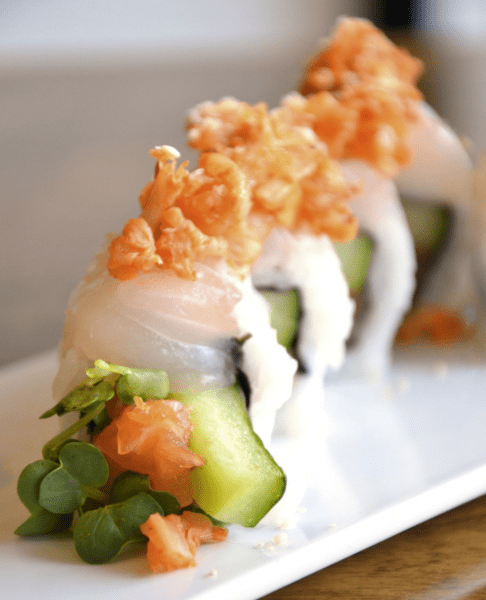 Sushi Blue is part of Bill White Enterprises which encompasses Billy Blanco's, Chimayo, Ghidotti's, Wahso, Grappa, Windy Ridge Cafe and Windy Ridge Bakery.